Dab it, add to it all the edges you can think of and own that look of yours. Spring is all about transitions and colors, so why not step out of your comfort couch for this time, take your makeup palettes and brushes out and treat your face like a work of art? 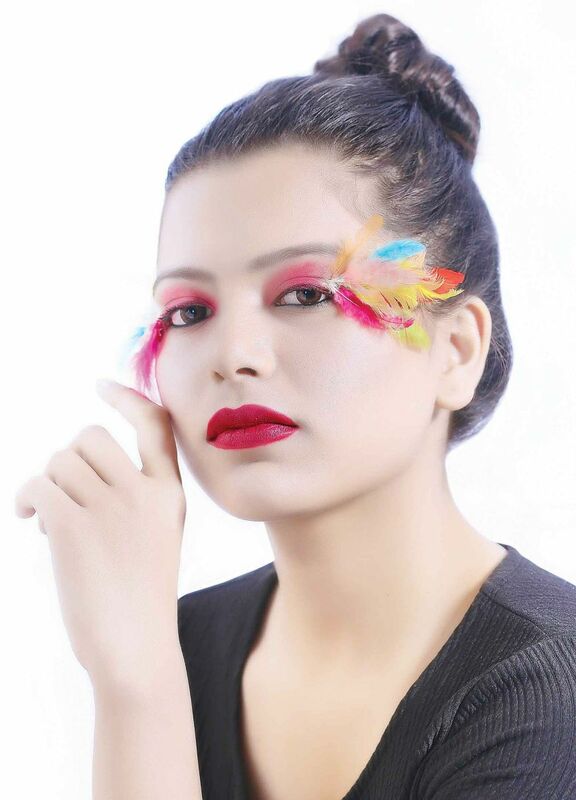 Bold makeup is all about contouring your face using different shades of color and is also a make-up form for flaunting creativity with a touch of sass. Dark colors are used for bold makeups as it helps to bring out your fearlessness and creativity through intense features. More traditional colors like black, brown, blue and other darker shades should give you a strong look and also help you confer your nerve in experimenting with colors. 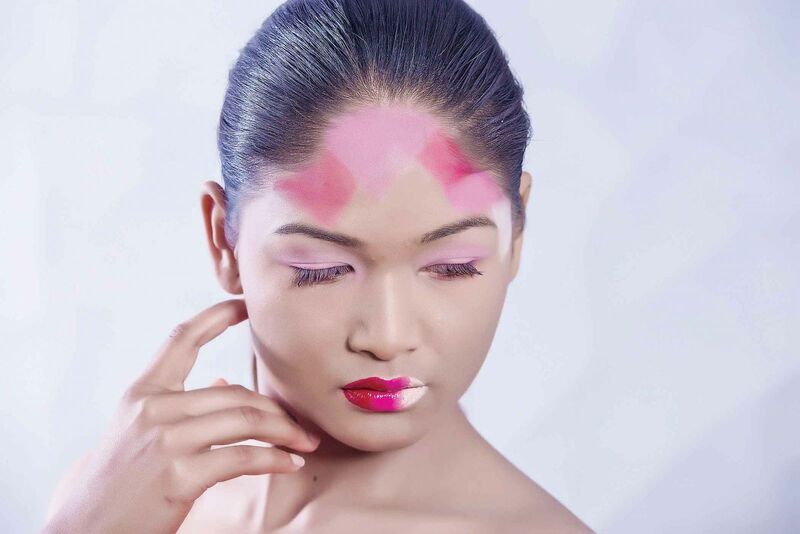 “Multiple colored lip shading using white, pink and fiery red can complement your bold makeup that is done by shading a shape of triangle with subtle colors like mauve, white and blush pink,”says make up artist, Jesna Shrestha on using different hues of pink on the lips. 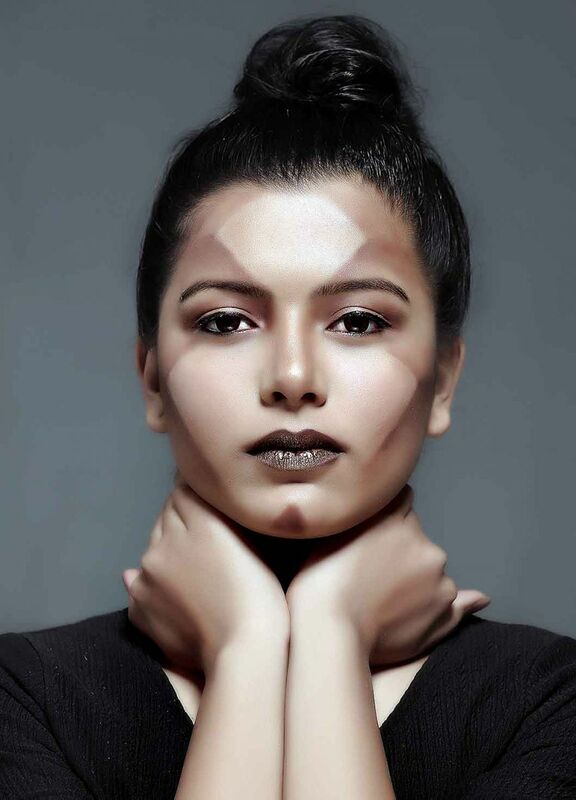 Heavy contouring with colors like metallic grey, brown and other darker shades will give you an intense and fierce look. This, with different geometrical shapes like circles or triangles should help you walk on with an air of chutzpah and show the prominence of your facial features. For brighter and bolder look, make an addition of makeup props of vibrant colors on your makeup list. Don’t hesitate to play on with different hues of red, blue and green. Using only dark colors may appear to one as a bit depressing so, maybe use some colorful feather lashes? Heavy contouring with colors like metallic grey, brown and other darker shades will give you an intense and fierce look. This, with different geometrical shapes like circles or triangles should help you walk on with an air of chutzpah and show the prominence of your facial features.